The Medieval Manor of Sutton Coldfield was well-supplied with woodland, meeting the needs of the population for fuel, building, fencing, tools and furniture. The woodland needed careful management to make it productive. Trees were felled so that new shoots would grow up from the base of the trunk, and after a given number of years, when the resulting poles had grown to the desired size, they too were harvested. The remaining tree stumps (or stools) produced a new crop of shoots, and so the cycle, called coppicing, would continue indefinitely. You had to surround the wood with a ditch and a bank with a fence on top so that animals could not get in and eat the seedlings and new coppice growth. These woodlands were known as coppices or hayes, and their management was regulated by the Bailiff and the Manorial Court. Sutton’s woods were devastated in the 1460s, when the Lord of the Manor, Richard Neville Earl of Warwick (“The Kingmaker”) needed to raise money to support his army in the Wars of the Roses. The woods were stripped and the timber sold, leaving Sutton in an impoverished state. The coppices and hayes only slowly recovered, so when Sutton’s great benefactor, Bishop Vesey, remodelled the town in the 1530s, the woods needed renewing. His solution was to set out a number of new woods in Sutton Park - previously the produce of the Park had belonged to a private tenant, and there had been no organised woodland because of the free-roaming deer. These new woods (the “Seven Hayes” still to be seen in Sutton Park) would meet Suttonians’ requirements for woodland products, leaving the old coppices to decline. In spite of the efforts of the authorities to preserve it, Braddock Haye, along with all the other old coppices, lay open to the common by 1680. A century of grazing by sheep and horses, together with occasional cultivation under the “lot acres” system eventually reduced it to rough grassland. On the 1811 Corporation Survey Braddock Hays and Upper Braddock Hays are simply names for a particular part of the extensive commons, the ancient coppice quite forgotten. 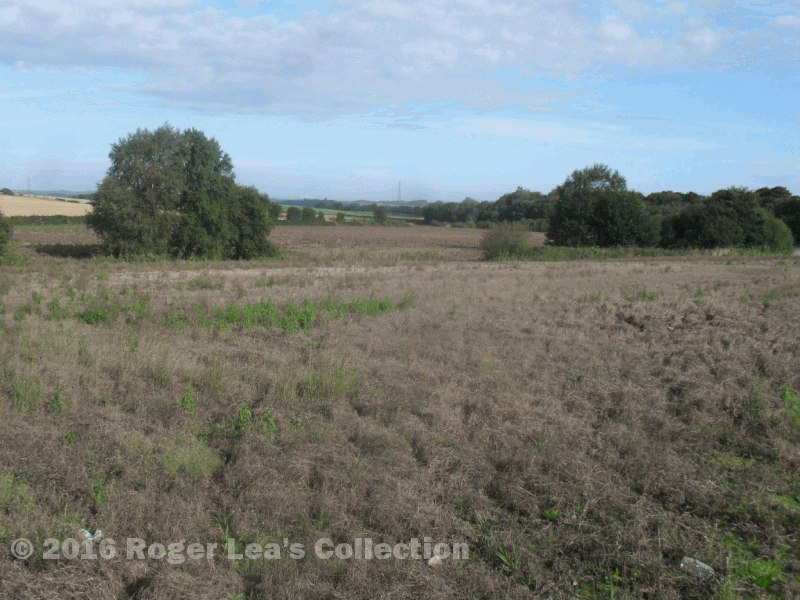 Cottagers have even established themselves with small fields where once was managed woodland. 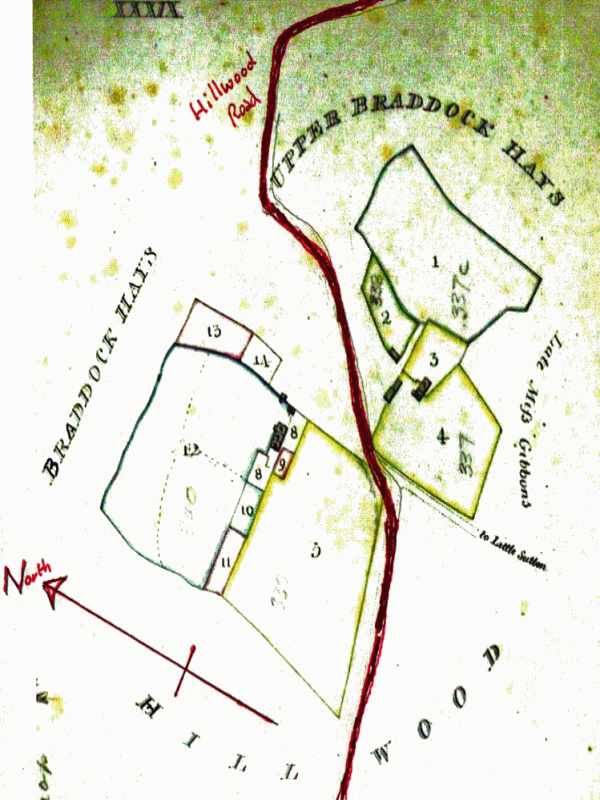 Plan 39 in the 1811 Survey of Lands belonging to the Warden and Society of Sutton Coldfield shows cottages and land at the bottom of Hillwood Road, surrounded by named parts of the commons. The approximate line of Hillwood Road has been added. The site of Braddock Hays today, looking north.